One little letter makes a big difference in a word as in desert and dessert. 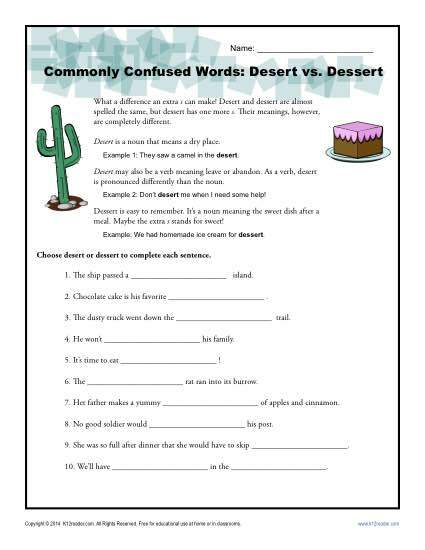 Your youngster will practice working with these two frequently confused words in this worksheet. It includes a brief definiton of each word. It’s compatible with 4th grade Common Core Standards for 4th grade Language. Other students may also find the practice useful.